The Australian Open continued to deliver on Tuesday as we landed a second Tennis Accumulator in the space of 48 hours! LANDS AT REDUCED ODDS OF 7/1. PUSH ‘❤’ IF YOU’RE LOVING THE #AUSTRALIANOPEN!!! Ivo Karlovic was up first for us, and we needed the Tour veteran to pick up a win against Hubert Hurkacz. The Croatian ace came into this tournament in good form after a good start to the season, and so we were confident he’d be able to pick up the result in this one. The thirty-nine-year-old did give us a scare early on as he dropped the first set to Hurkacz in a tiebreak. However, Karlovic recovered and managed to win all three of the next sets to win 3-1, and get our accumulator off to the perfect start. American legend Serena Williams was up next for us; in the leg of the accumulator we were most confident with. The twenty-three-time grand slam champion repaid out faith, as she eased to an extremely comfortable straight-sets victory. The next leg of our accumulator saw Stan Wawrinka take on Ernests Gulbis. We needed former champion Stan Wawrinka to pick up the win to keep the acca going, but after dropping the first set, things were looking a bit nervy. However, when 3-1 down in the second set, Gulbis was forced to retire from the match, and therefore this leg of the acca was void, and the accumulator would now land at reduced odds of 7/1. The penultimate leg our accumulator saw world number one Simona Halep kick-off her 2019 Australian Open with a tricky-tie against Kaia Kanepi. Kanepi was an extremely difficult draw for Halep, after the damage Kanepi had done to her last season. The Estonian beat Halep during the first round of the US Open last summer, the last grand slam event, and so this was never going to be a walk in the park for the world number one. We knew this, and for that reason we expected Halep to be in a real fight, but for her quality to get her through a three-set battle in the end. This proved to be the case, and after dropping the opening set, Halep fought back to edge out Kanepi 2-1, and move our acca to the brink! The final leg of the accumulator saw Dominic Thiem take on Benoit Paire. Dominic Thiem, the world number seven, was the favourite going into the match, and we were confident he’d pick up the victory we needed. The match started perfectly for both Thiem and us, as the Austrian ace raced to a 2-0 set lead. However, this is where things started to get a little tense. Frenchman Benoit Paire started to fightback, and he eventually got the match level at 2-2, sending it to a fifth and final set. Dominic Thiem did manage to recompose himself, however, and he finally got the job done 6-3 in the final set, to edge an epic. This meant our accumulator was in, at 7/1 odds, and in back-to-back days! Remember to follow our Free Tennis Tips page on the FST website so you don’t miss out on any future winners! Categories: Tennis and Tip Results. 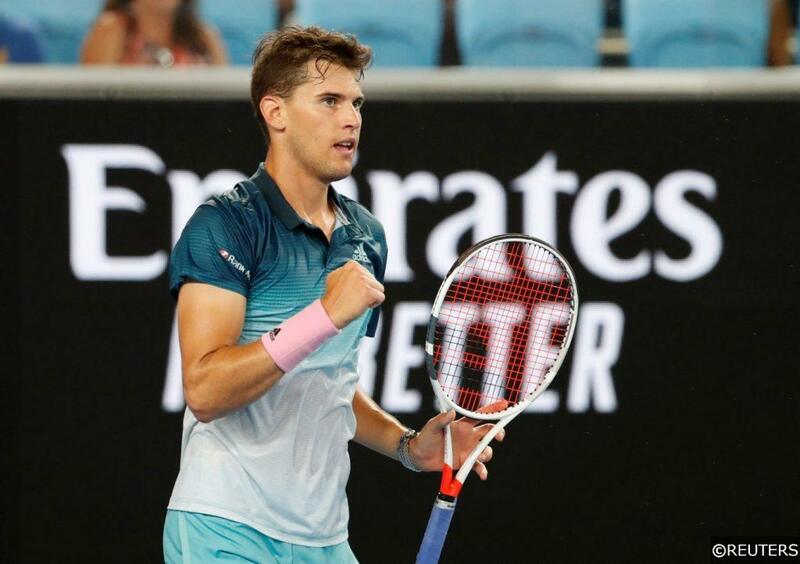 Tags: Australian Open, Dominic Thiem, Ivo Karlovic, Serena Williams, Simona Halep, Stan Wawrinka, Tennis betting tips, and Tennis predictions. Sports: Tennis.